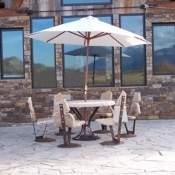 Luxury Outdoor Furniture, Pool Furniture, Patio Furnishings. 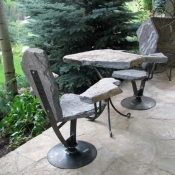 Naturally beautiful Stone Furniture, Amazingly Comfortable, Built for Life. 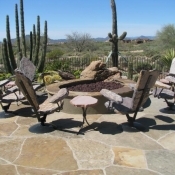 Cozy up around the fire pit with 6 Deep Seating Swivel Chairs and 3 handy side tables to place drinks on. 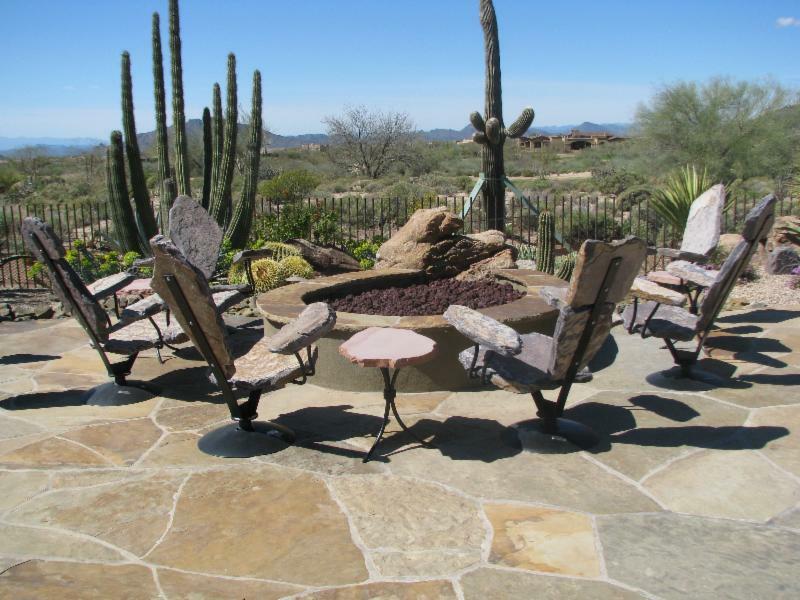 Smaller spaces can opt for the Medium Fire Pit Surround with 4 Deep Seating Swivel Chairs and 2 side tables. $7600. *fire pit not included. 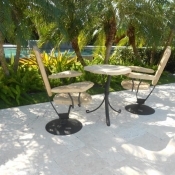 Complete your outdoor kitchen space with 4 or 6 person Dining Set, 4 Swivel Bar Stools a and a Bistro fit for 2. Your stylish place to land when it’s finally time to unwind. Relax on 4 Deep Seating Swivel Chairs with 4 ottomans – more comfortable than a Chaise Lounger and easier to get in and out. Complete with 2 side tables for drinks and a Bistro for 2 to grab a snack. In today’s expanding design world, it can be difficult to try to pull a look together from all the choices available. There are designers who get paid the big bucks to put together a grouping of pieces in a functional, complimentary way. For those of us who do not have the time or the know how to pull together a look that is polished and pleasing, it can be challenging and stressful. 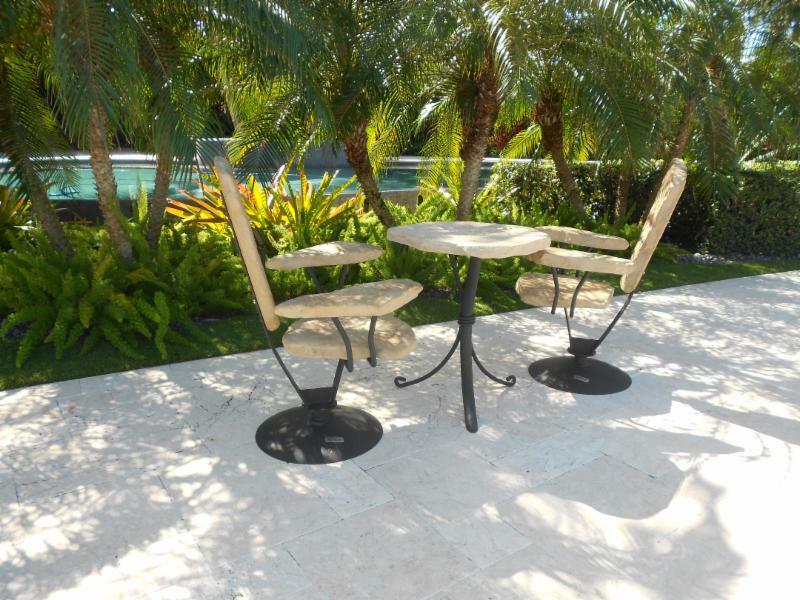 At Stone 2 Furniture, we want to help take the hassle out of creating your perfect backyard paradise. 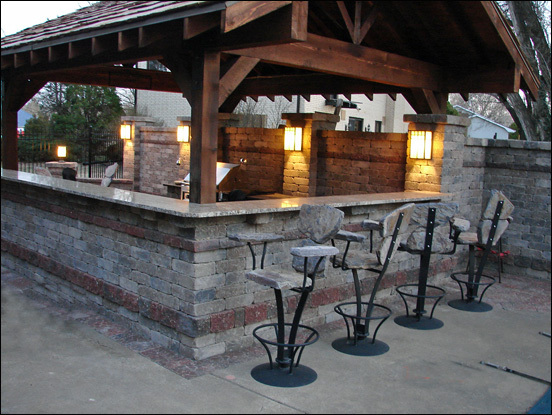 We have taken our years of experience in backyard design and created The Backyard in a Box to make it easier for you to achieve the look you want, without the stress. 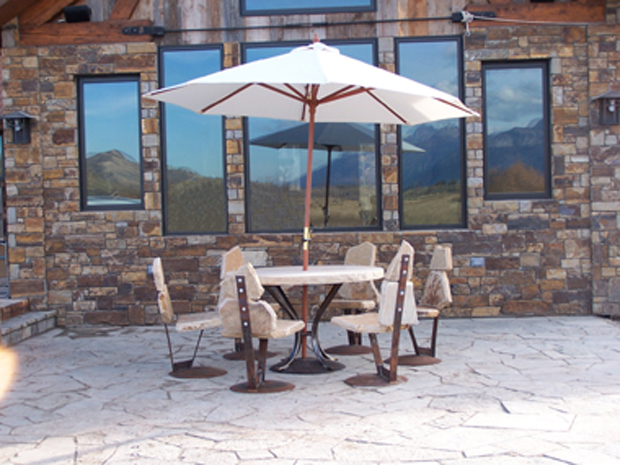 Most of our clients want to enjoy their backyards, patios and outdoor kitchens; they do not want to spend extra time and energy pulling all the pieces together. So, we have combined our most popular pieces to create a one-of-a-kind design look for you. 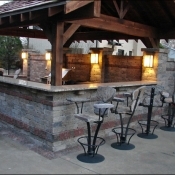 You still can chose the style, color, and swivel, and we apply your choices to the “box” you have selected. 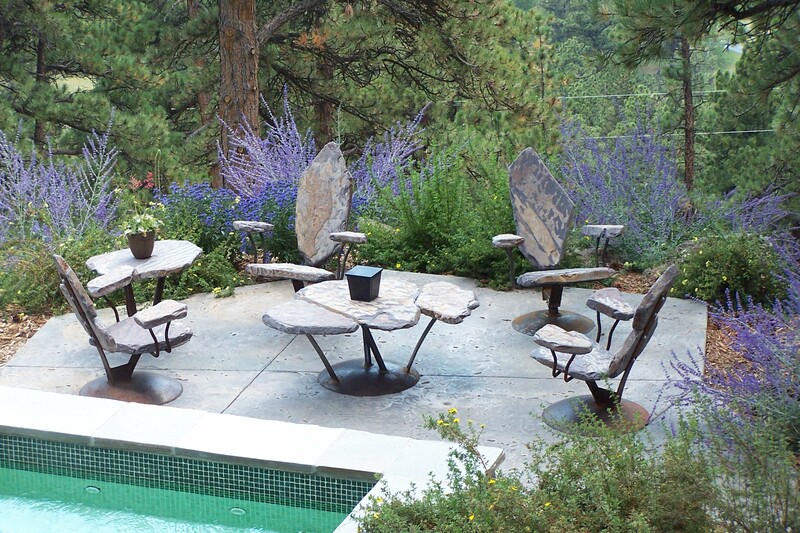 The advantage of The Backyard in a Box is that it saves you time and offers simplicity. You will be getting everything you need at once so you don’t have to worry about matching up the pieces later or that something will go out of stock and you won’t be able to get it at a later date. Also, this option will save you money on the shipping cost because everything will ship at once, for one price. Even better, there is no additional design cost. We are using our years of experience to create the most desirable looks with the most popular pieces. 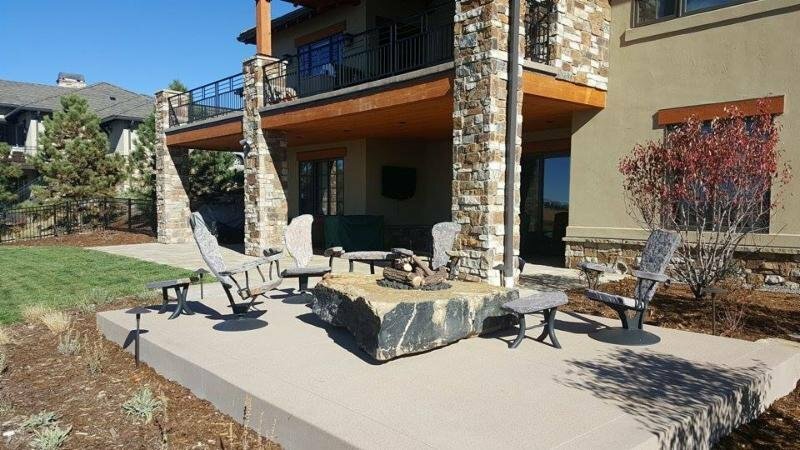 After years of creating outdoor living spaces that our clients love and enjoy, we decided that we wanted to package that knowledge and make it easier for all of our clients to enjoy our Stone 2 Furniture without trying to decide what to get. So what are the packages? We decided to start with the three most popular areas of the backyard. 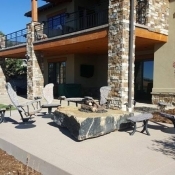 We have created the “Fire Pit Surround,” the “Outdoor Dream Kitchen” and “Big Splash Pool.” All of the packages come with everything you need to create that special area that will bring enjoyment to you and your family for years. 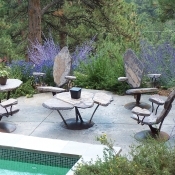 When you are ready for an outdoor makeover, this is the way to go: simple and easy with no fuss or muss. You pick the package, we create it and have it delivered to you! 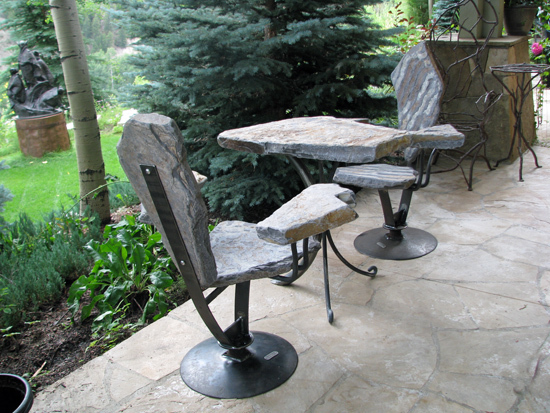 Copyright © 2019 Stone2Furniture · Customized by Blue Sun Studio, Inc.